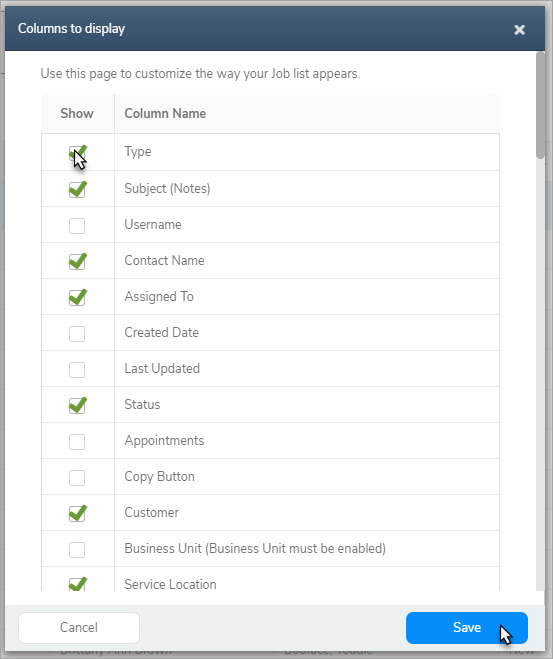 The job list comes out-of-the-box with a handful of fields that you can sort by. Clicking on the up/down arrows will sort the column in ascending and descending order. 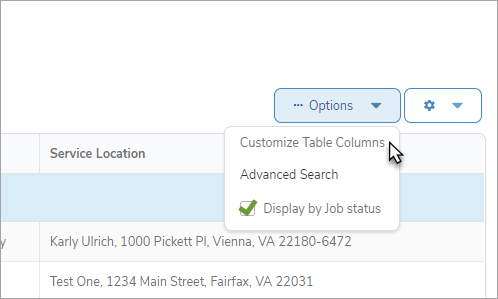 If you don't see a field that you'd like to sort by, just click the Options button, then click Customize Table Columns. Check the box next to the field you would like to view and sort by. Click Save at the bottom of the page and return to your job list. Ta-da! You now have the ability to sort by the new field.